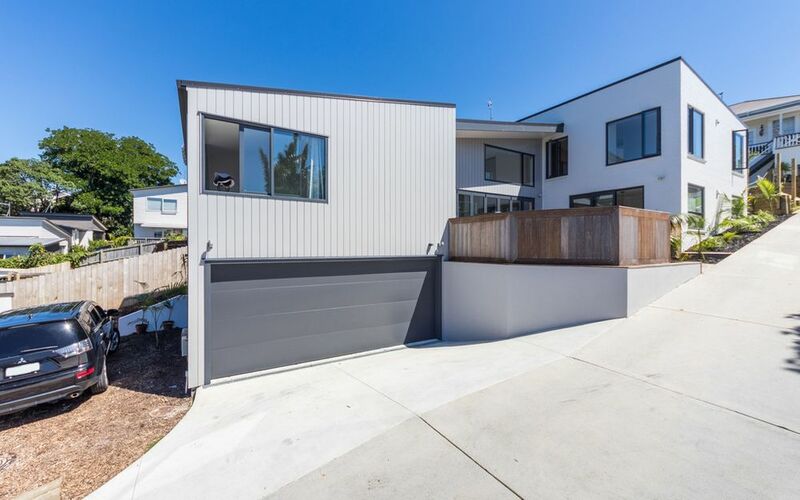 Near new builders own home only 100 or so metres to Birkenhead Shopping Centre. 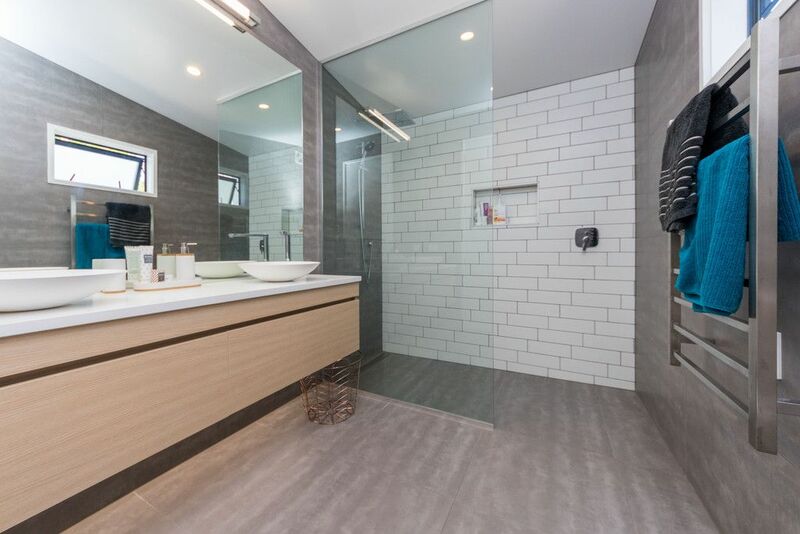 Modern designed brick & shiplap exterior, with double garage & lots of off street parking. 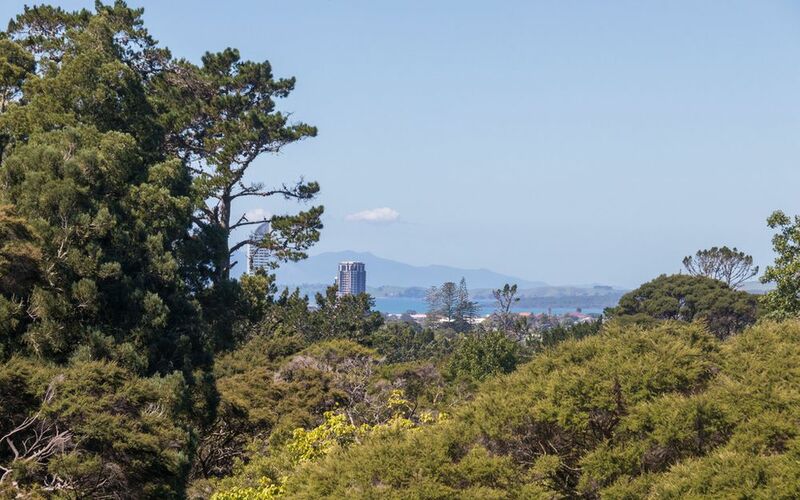 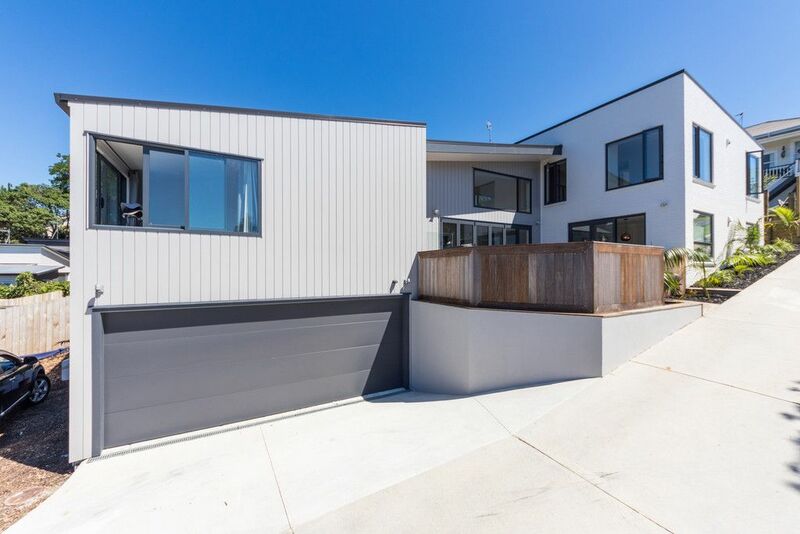 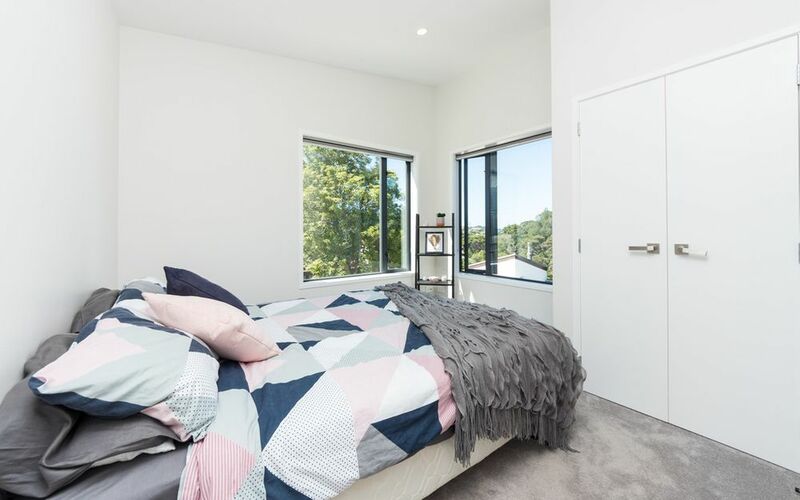 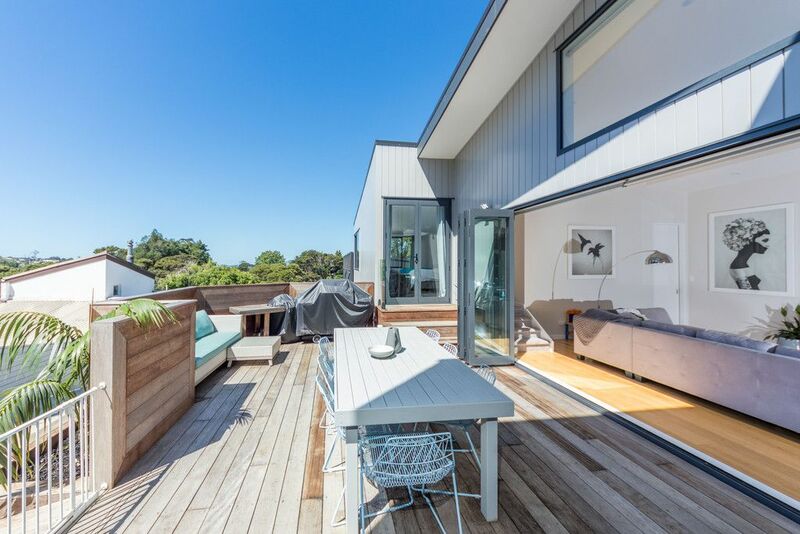 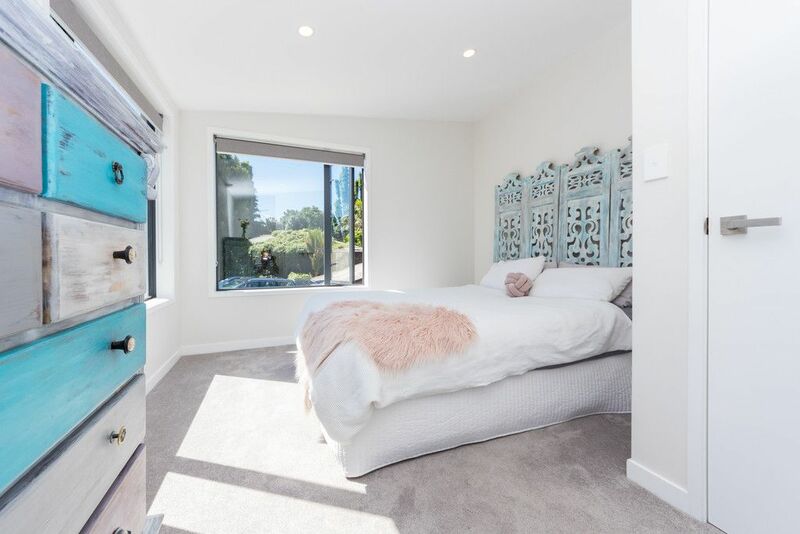 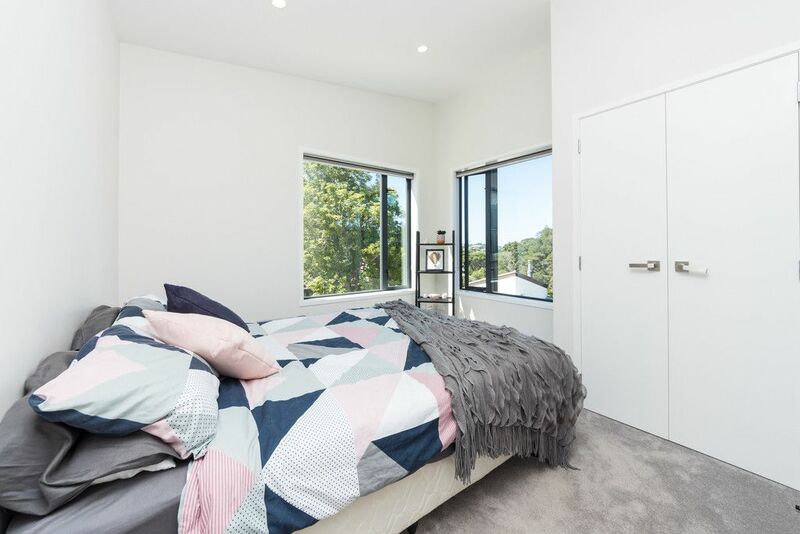 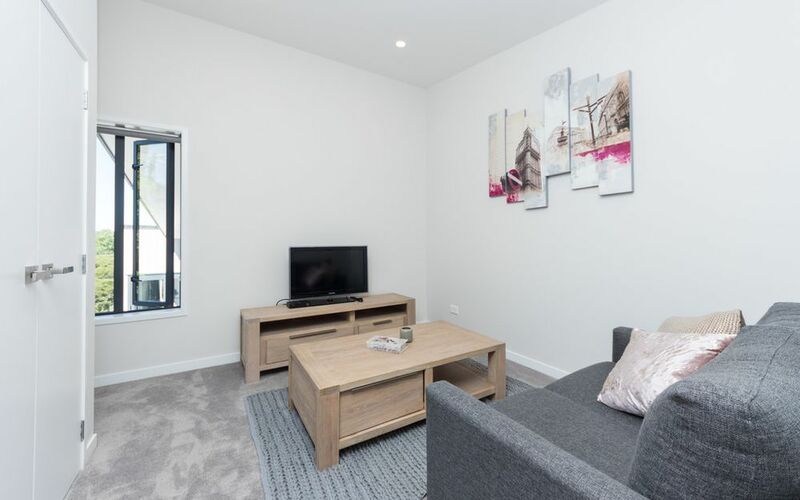 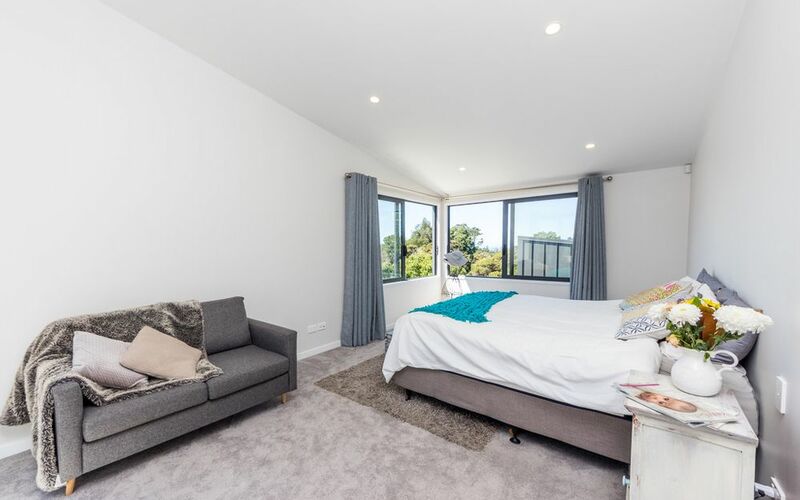 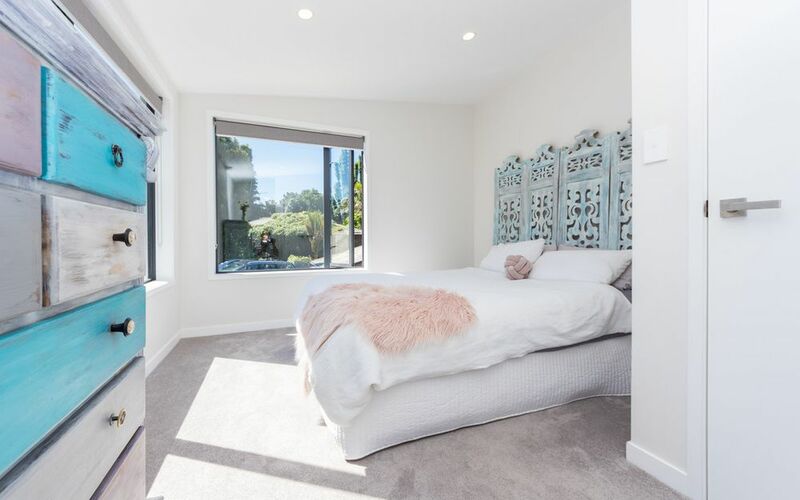 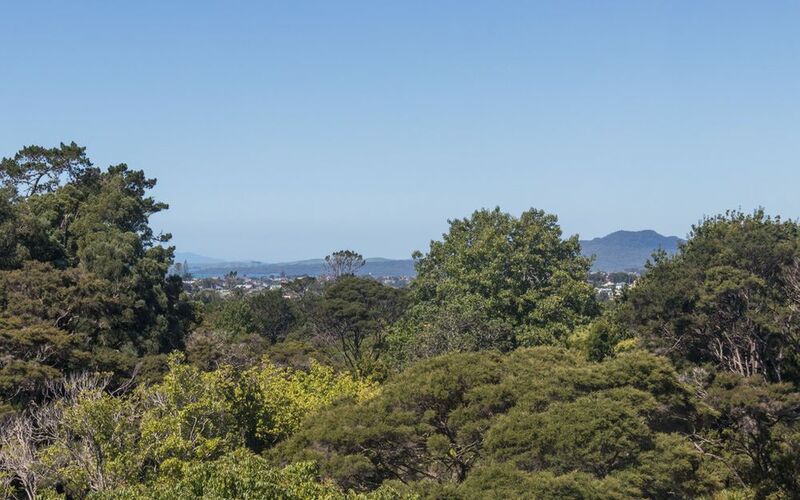 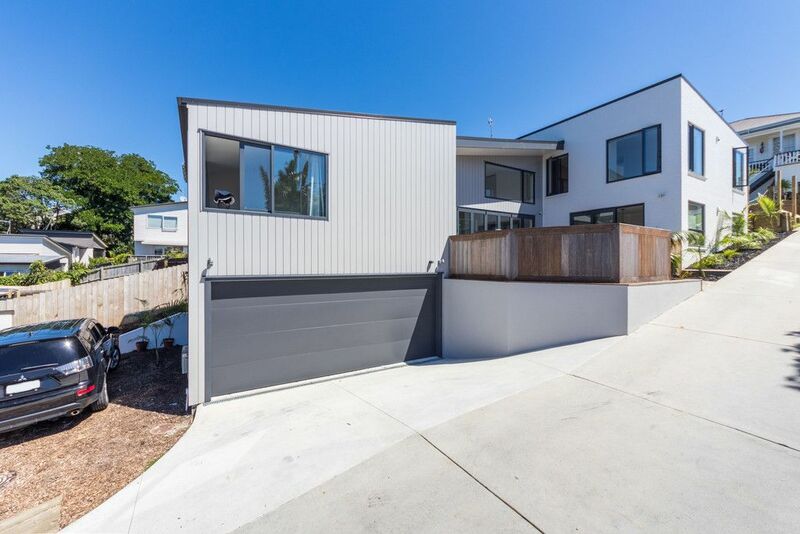 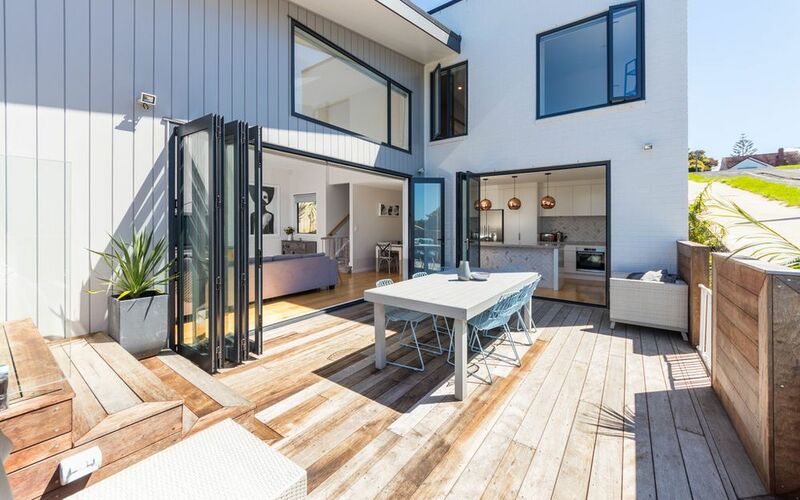 You can live on the ground level with master bedroom which has a peep of Rangitoto. 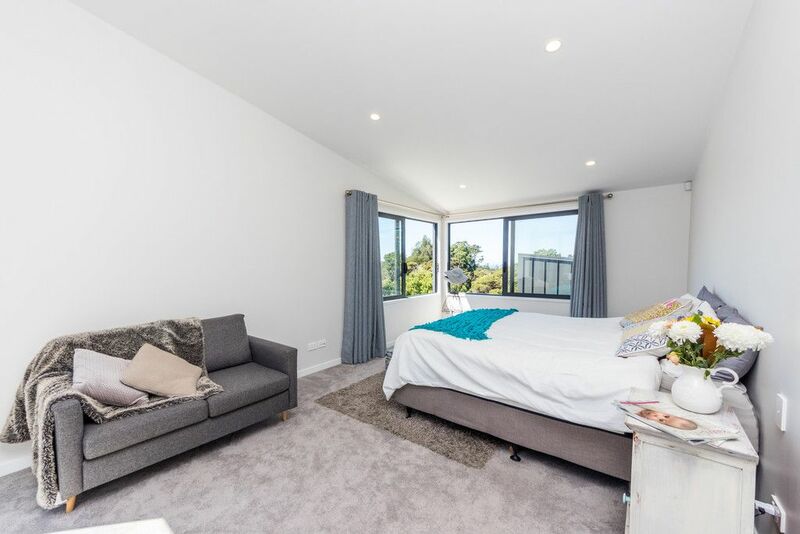 Plus another bedroom which doubles as a media room if required. 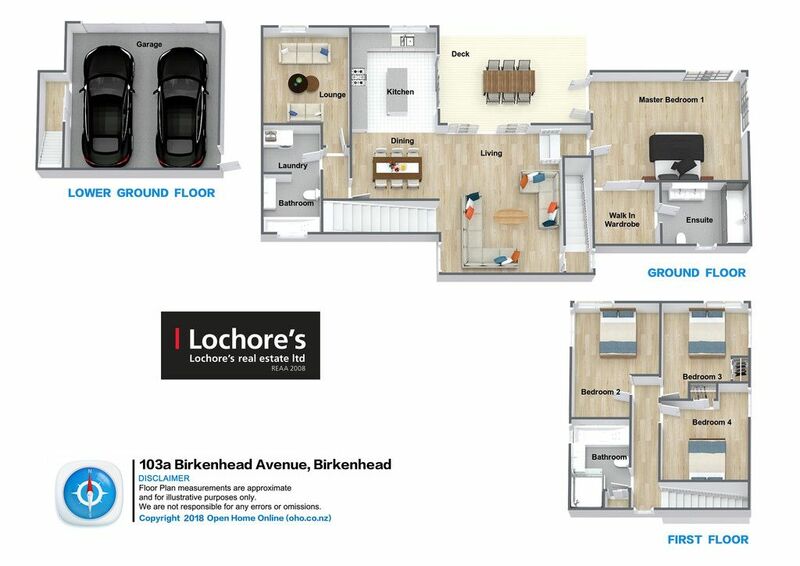 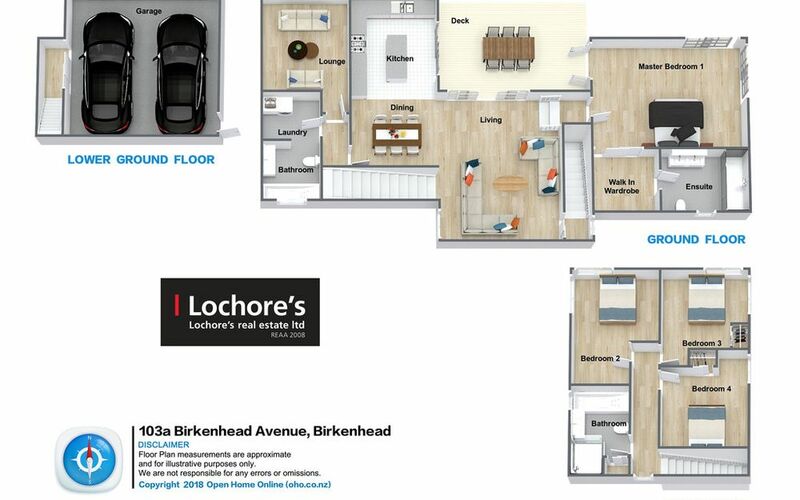 3 more double bedrooms on upper level & one with a lovely view over the coast. 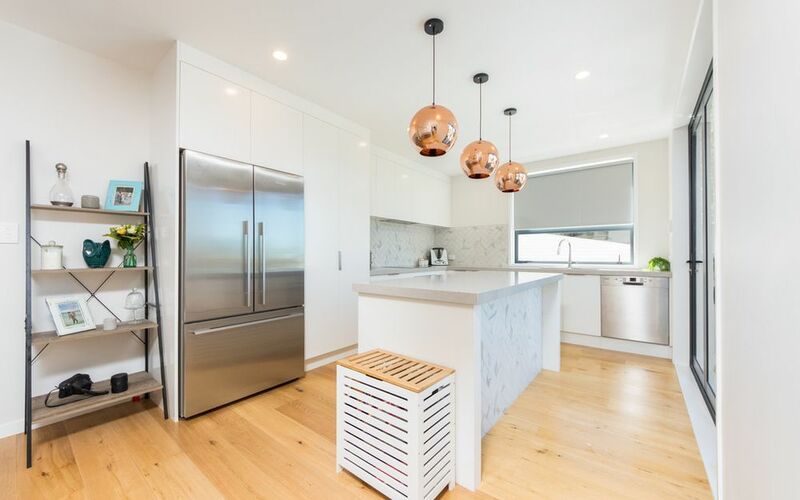 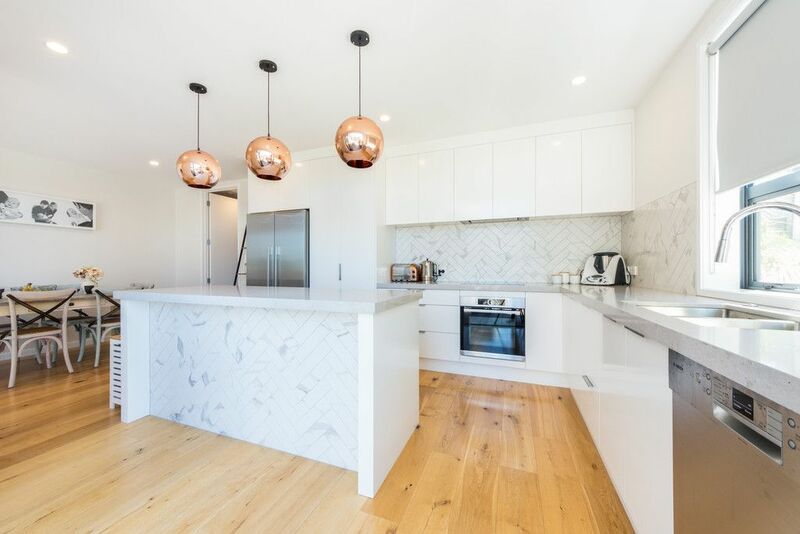 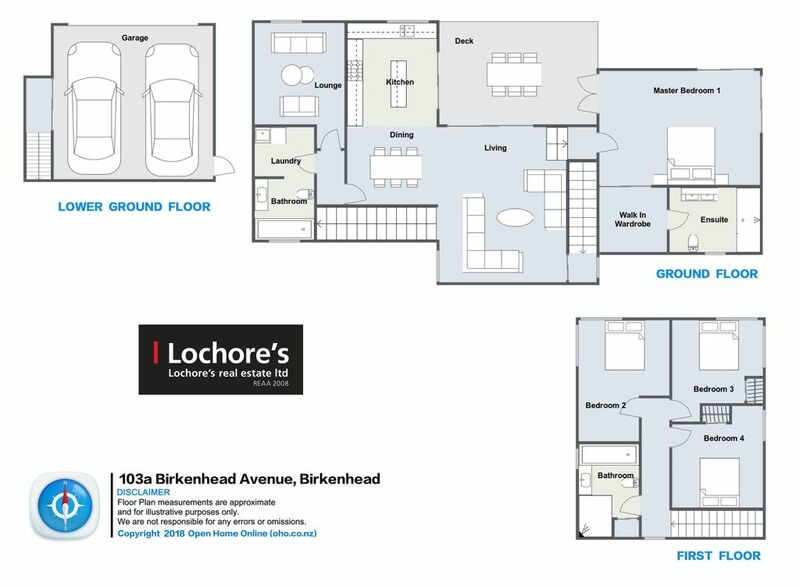 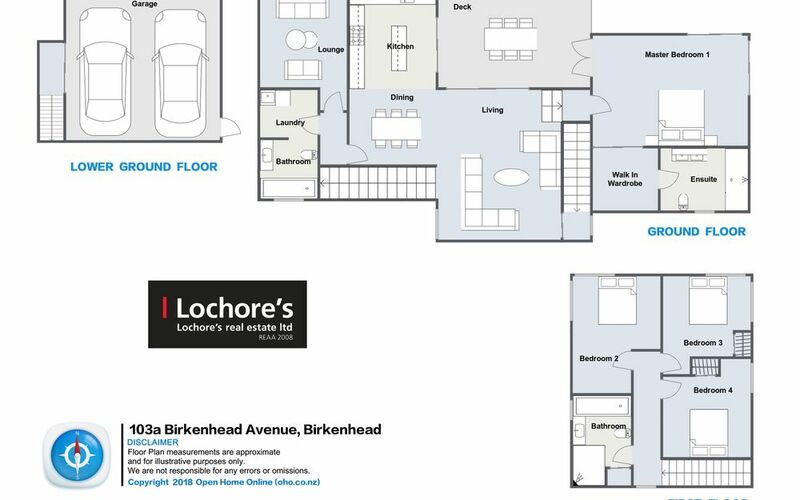 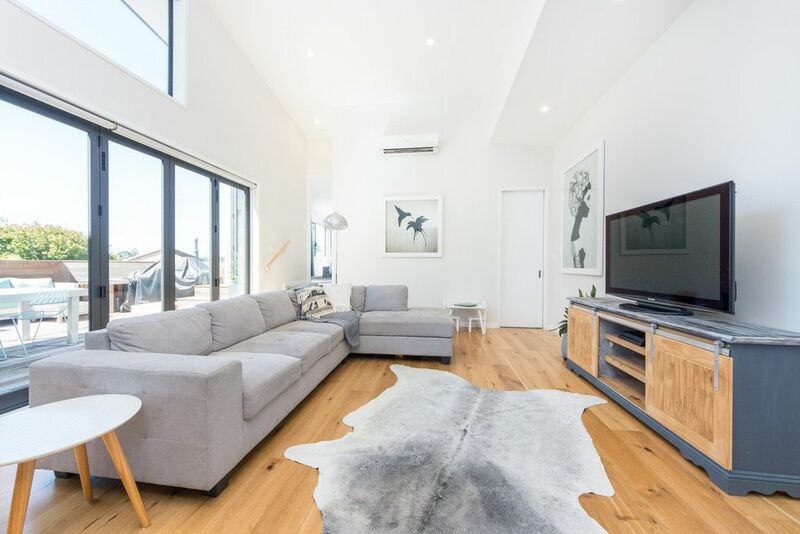 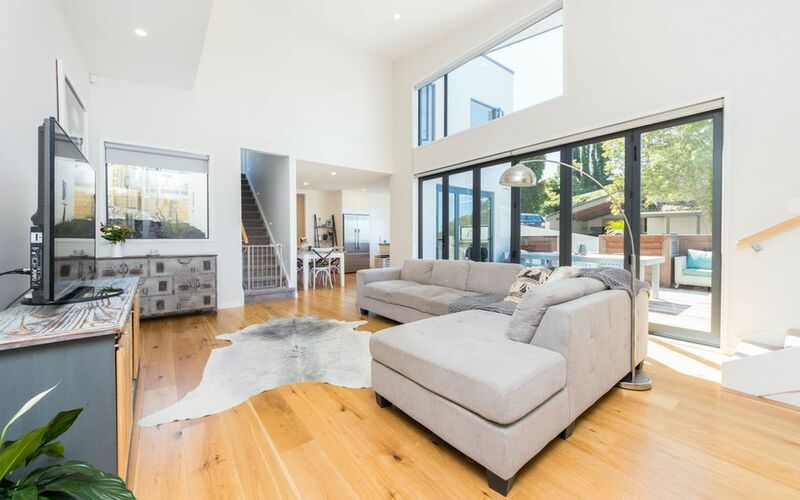 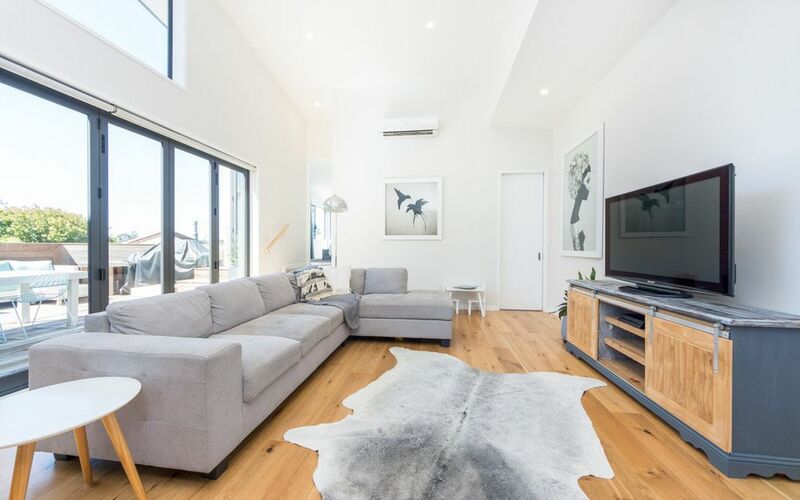 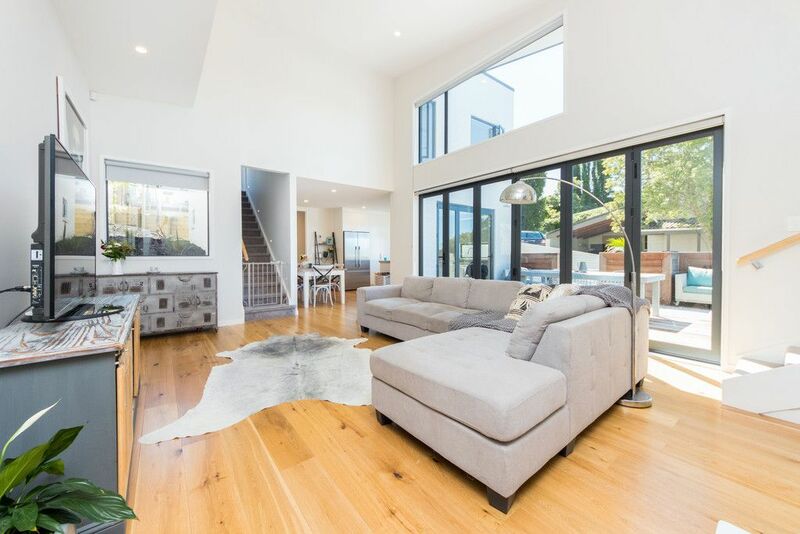 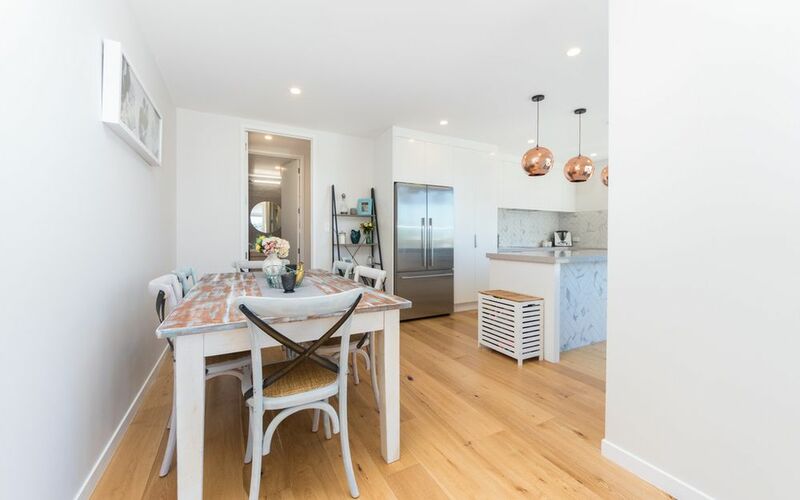 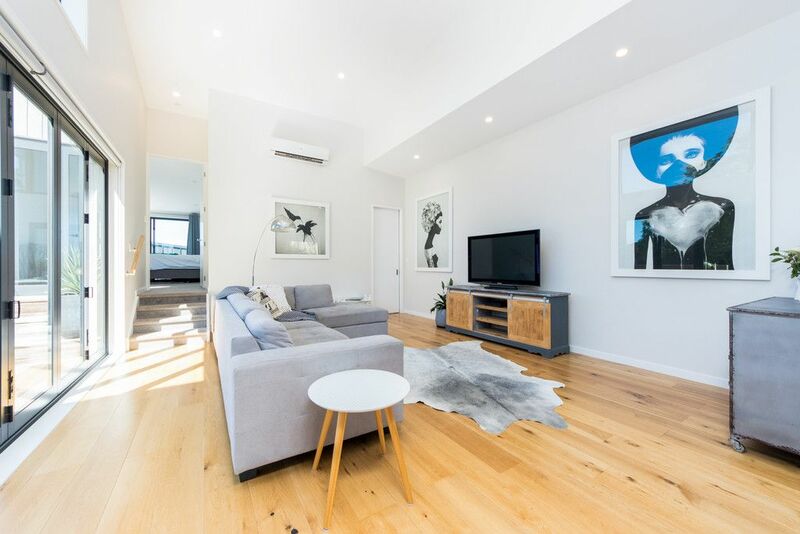 Living area has extremely high ceiling & is designed for entertaining with great access to a large entertaining area,, plus access form hi-spec kitchen with all the bells & whistles & dining area to the same sheltered deck. 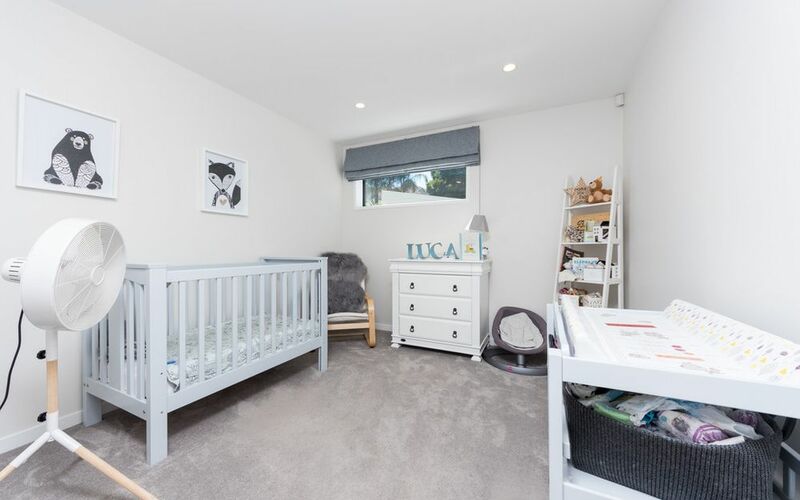 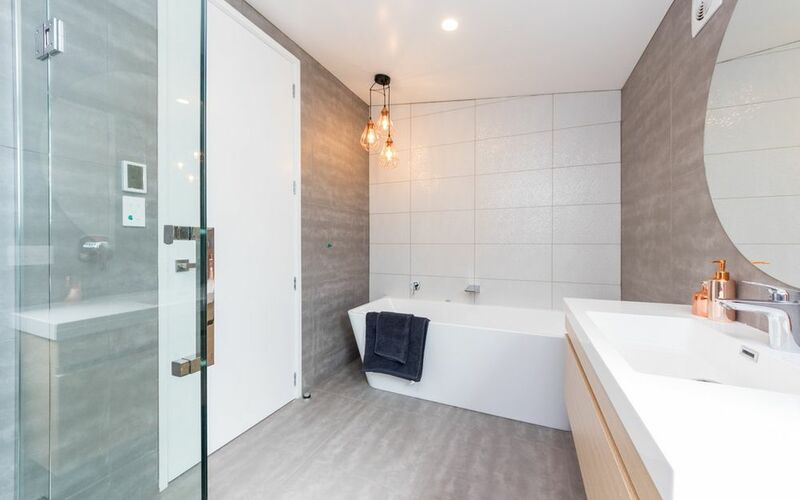 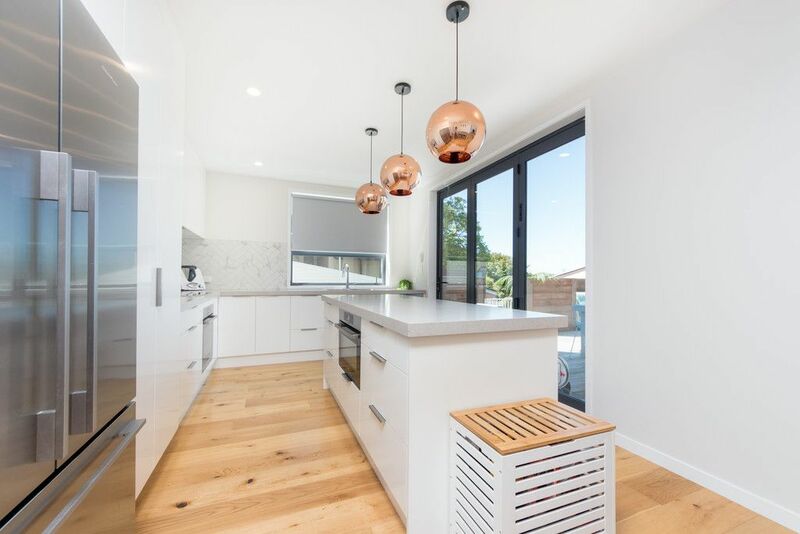 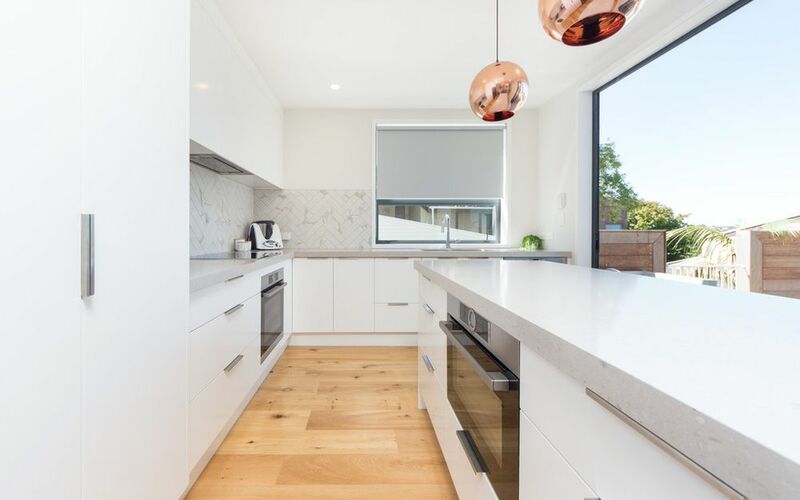 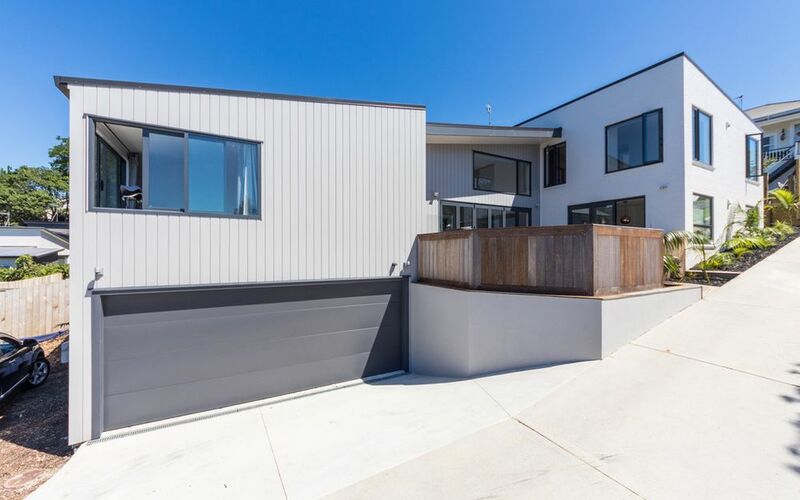 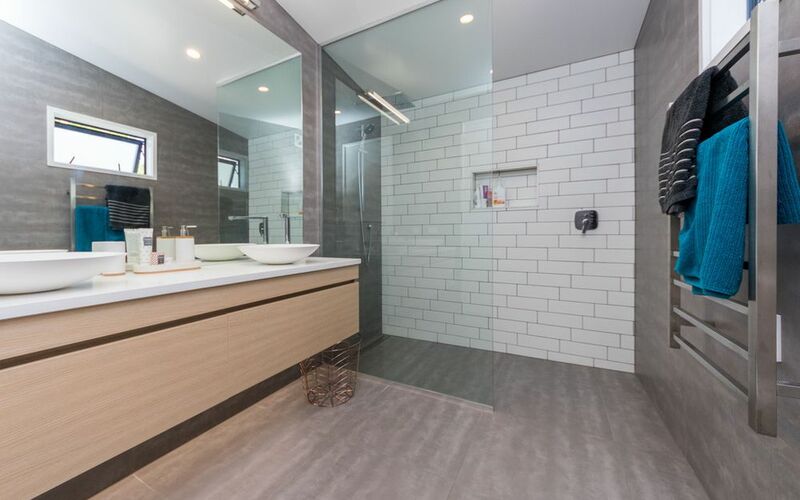 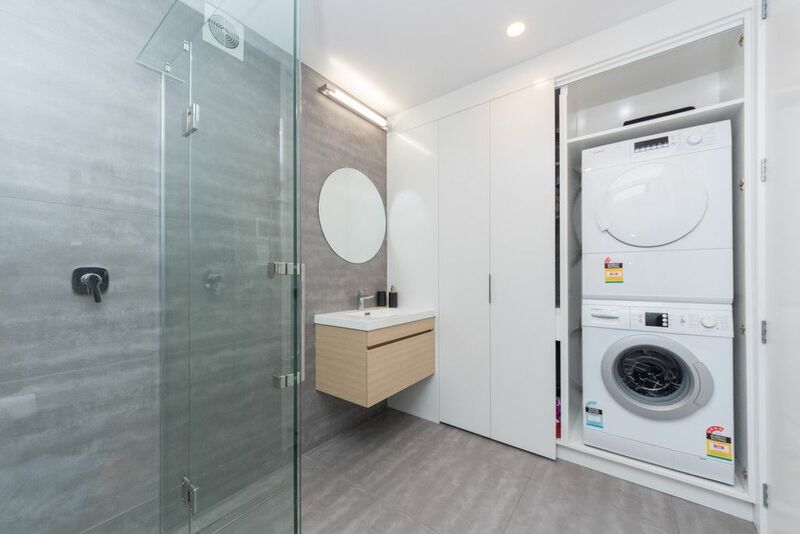 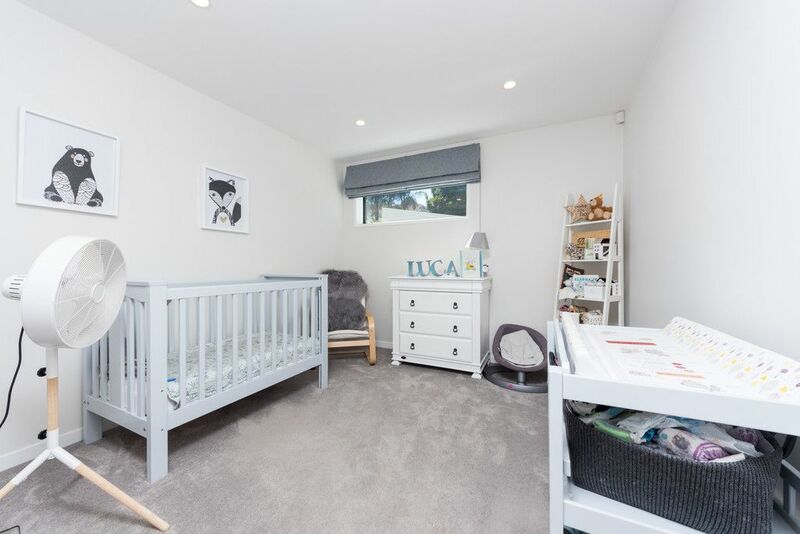 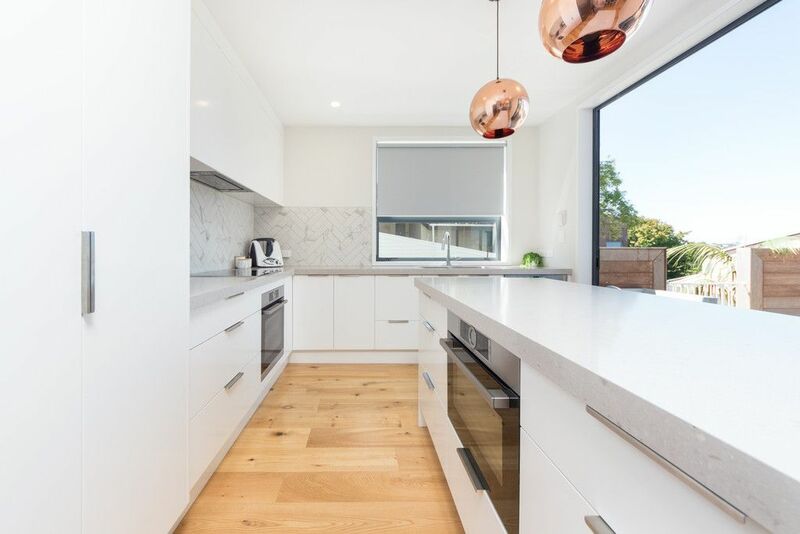 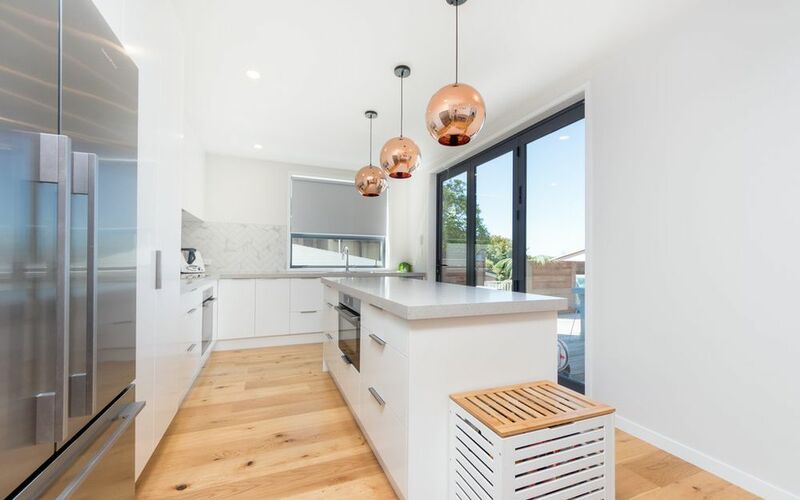 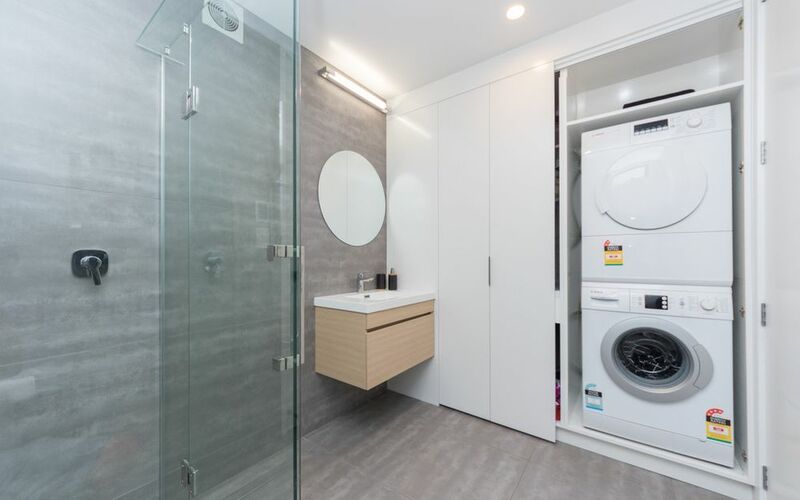 All in all a very modern well designed 5 bedroom, 3 bathroom large home that has that “lock it & leave it” feel close to shops, buses & easy access to City.